Bedrock Gardens will be open to the public from 9am – 5pm, and they are looking for some volunteers to help out. You will receive GSA hours for any time spent volunteering at Bedrock Gardens, but will sign up directly with them via their volunteer site: http://signup.com/go/sqpYVgG. 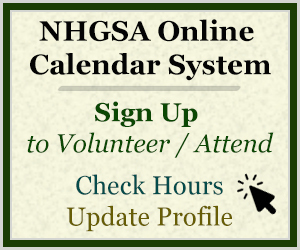 When you sign up, you’ll need to let them know that you’re a GSA – either indicate somewhere on the form when you sign up, or e-mail their volunteer coordinator, Deb Nugent (ddteag1@comcast.net). Any questions about volunteering for these events should be directed to Deb as well. There is somewhat limited parking at the garden, and there is no parking on High Road for events. Preference will be given to the handicapped and to the infants with strollers. Once their parking area is full, they have arranged free off-site parking with shuttle vans at Mastway School, 23 Mast Road, Lee. They will be leaving about every 15 minutes. You could go directly there. Mastway School is located at 23 Mast Road in Lee, 2.9 miles from the garden. The nearest town is Durham, home of the University of New Hampshire. Click Here for a map and directions. There are three handicapped spaces at the garden. You must have a handicapped sticker to use them. They are on a first come, first served basis, and should be left available for guests. Parking Lot Attendant: Parking lot attendants help visitors park in designated areas and provide directions to Mast Way School for visitors to catch the shuttle. Attendants must also ensure that no visitors park on High Road. Shuttle Drivers: Shuttle drivers shuttle guests between Mast Way School and Bedrock Gardens using vans that hold up to 10 guests. Must have a valid drivers license and be over 21 years of age to sign up for this position. Gift Shop (gifts, plants, memberships): Gift shop attendants will help Gary and Kate manage the flow of visitors through the shop, accept payments for gifts, plants and memberships. Welcome Kiosk: Welcome kiosk attendants welcome visitors, take donations, capture attendance data and provide additional information, as needed. Ideal volunteers will be outgoing and willing to learn. Garden Tour Guide: This is a great opportunity to job shadow Hobson and Andrea as they lead garden tours. Area Docents: Docents engage with garden visitors in specific areas, including information about plants, the garden and general topics. Must be trained in advance or shadow with an existing docent. GSA uniform: GSA shirt, name tag, khaki bottoms (pants/shorts/skirt), and comfortable shoes (be prepared to walk outside on many surfaces.) Many parts of this event are outdoors, and it takes place rain or shine, so be prepared for the weather!